A winter sports paradise awaits tourists at the Diedamskopf in the Bregenzerwald. The highest mountain in the region convinces by diversified pistes on all levels, magnificent cross-country slopes, one of the best snow parks in Europe, beautiful ski tours and snow shoe hiking. Enjoy your winter holiday best equipped with the proper equipment from the INTERSPORT Rent ski rental in Schoppernau. 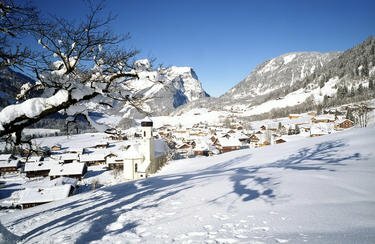 The Diedamskopf, the local mountain in Schoppernau and highest peak in the region, offers an unique view for winter athletes. Whether for little skiers, professionals, boarders, ski mountaineerers or cross-country skiers - the offers in the ski area of Voralberg are varied. Enjoy, next to the considerably winter sports offers, the convenient ski rental of INTERSPORT Rent in Schoppernau and hire your ski equipment easily and on-site in your holiday resort. You love adventures and challenges? Then check out your limit under absolutely safe conditions with an experienced guide. Whether ski tour, freeriding, ice climbing or snow shoe hiking - in terms of equipment you should trust in professionals. The competent team at INTERSPORT Rent in Schoppernau is happy to advise you and informs you about current offers and activities. 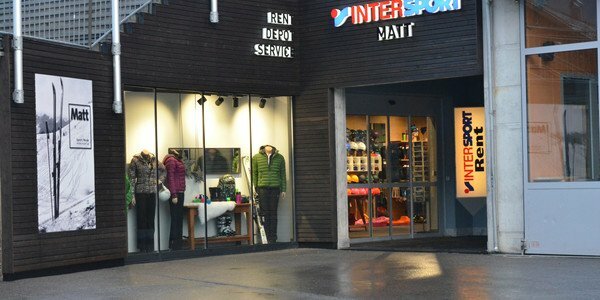 Travel with light luggage and hire ski and snowboard and numerous other winter sports equipment at INTERSPORT Rent in Schoppernau. We are looking foward to your visit!